On her wedding night, Jade wakes up holding the hand of her dead husband after she narrowly survived a murder attempt by the criminal family she fled from only weeks before. After pawning her wedding ring for a 357 Magnum she tries to kill a member of the family and botches the attempt. However, a Vietnam Veteran “The Hammer”, comes to her aid and finishes the kill, saving her life. 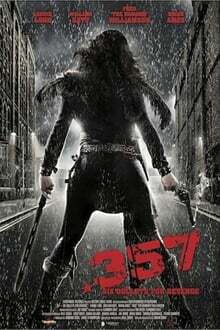 Over the next year, Hammer trains her to be a methodical assassin and on her wedding anniversary each member of the family will pay for their sins as she hunts them down with six bullets marked for revenge.